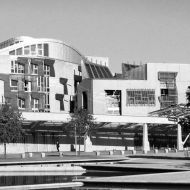 Scottish Landfill Tax and Land and Buildings Transaction Tax introduced in April. Revenue Scotland announced non-compliance amnesty for first six months. Penalties and interest charges enforced from 1 October. Revenue Scotland starts to enforce rules on registration and payments for devolved taxes introduced this year. The amnesty for late payment and continuing failures to meet obligations under newly devolved taxes has ended, Revenue Scotland has advised. The tax body had allowed some leniency for delays to registering for Scottish Landfill Tax (SLfT), submitting a return for Land and Buildings Transaction Tax (LBTT) or SLfT, or making payments in time. Taxpayers and agents had been given until 1 October to comply with the new levies, which came into effect in April. Revenue Scotland announced that it would not raise penalties or charge interest for late registrations, late returns and late payments for the first six months of the operation of LBTT and SLfT. However, it has announced that the period of grace is now over and "penalty and interest notices will be sent out for such failures in due course".